recommend that the Finance Committee approve a loan not to exceed $60,000 to be amortized equally over the five year period beginning 1955-56 as a part of the Palestra Double Header Budget; these funds to provide seats to bring the Palestra capacity to approximately 10,000, to repair and refurbish 4 team and shower rooms on the court level, to install new basketball backboards, and to reinstall the ventilation system. A radically expanded Palestra opened the door for a radically expanded schedule for the five preeminent Philadelphia basketball teams: La Salle, Penn, St. Joseph’s, Temple, and Villanova. On September 12, the Daily Pennsylvanian announced that those five teams would compete in “a round robin city series at the Palestra” against each other. Construction of additional stands began that fall, “in anticipation of the crowds which are expected to turn out for the new series of basketball double-headers at the Palestra.” The new stands, reported the Daily Pennsylvanian on October 5, “will extend from the foot of the old stands to very close to the sidelines, instead of ending several feet from them as the stands were arranged in the past,” and would be accompanied by new backboards. The coupon system became necessary because of the number of Philadelphia teams using the Palestra, according to Athletic Business Manager John Rossiter. Since three of the five squads playing their home schedules on the local hardwoods may be scheduled on the same night, student cheering sections will be rotated between the north and south sides. Thus a single reserved seat for the entire season is not feasible. The athletic directors of Temple and Lasalle accepted “three trophies” for which the five teams would compete; one for the “team with the best record against the other four” from the Philadelphia Inquirer,” one for the player “best typifying the qualities of sportsmanship, scholarship, and leadership” from the Food Fair chain of grocery stores, and one for most valuable player, from the Philadelphia Screenwriter’s Association, in memory of Temple publicist Bob Geasey. 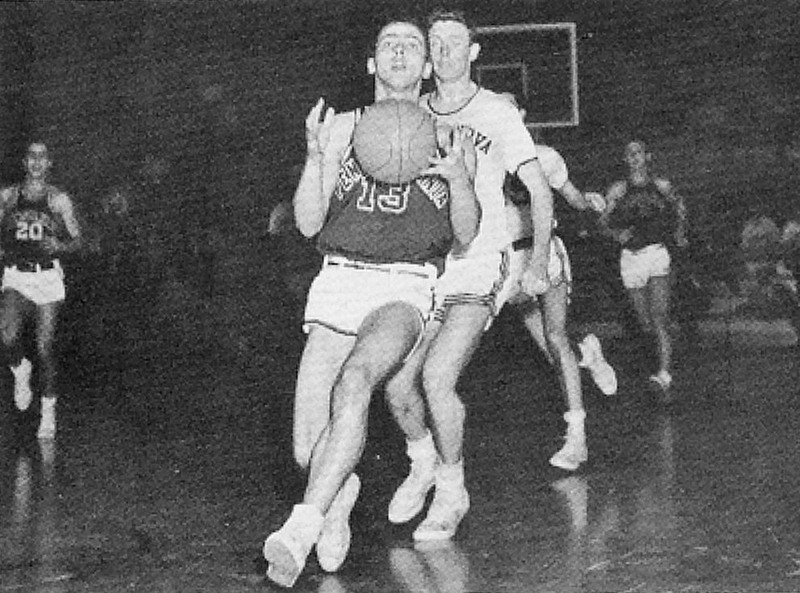 St. Joseph’s, who had already won their first three games, could be expected to add “Lustre to Palestra,” led by 6″6 center Bill Lynch. For Villanova, prospects looked somewhat less lustrous. ‘Nova coach Al Severance told the DP that “this year will be strictly an effort year;” they had lost their star, Bob Schafer, to professional basketball. LaSalle’s Explorers found themselves in a similar position. They had lost both Tom Gola, their star of the 1954-55 season, and their coach. Though the entire “1954-55 nucleus” remained, save Gola, new coach Jim Pollard remarked that his team lacked the “one big man” they really needed. 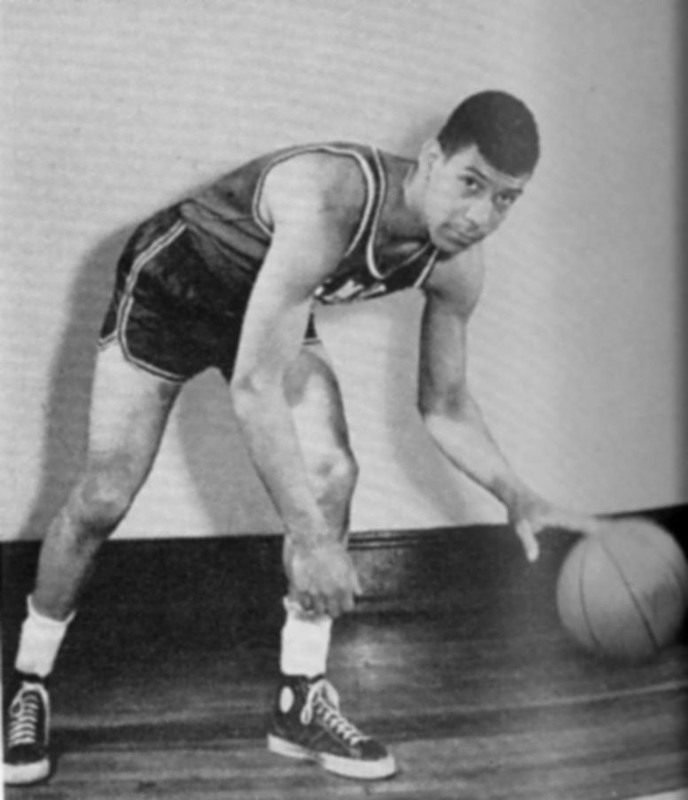 Temple had also suffered the loss of two of its stars, Harry Silcox and Al “Lefty” Didriksen, but nevertheless “boasted two essentials which they have sorely lacked for several seasons – height and depth,” as well as “three veteran starters” – Hal Lear, Hal Reinfeld, and Leon Smith. Penn, led by Joe Sturgis and Fran Mulroy, was looking to better its own performance, but faced the challenge of a “vastly improved Ivy League” in addition to the new test of intra-city play. On December 14, 1955, Villanova and St. Joseph’s faced off against each other in the refurbished, 9100 seat Palestra. The birth of a bastion of Philadelphia sports was complete. Historical sources available in the University of Pennsylvania Archives include issues of the Daily Pennsylvanian, Philadelphia Big 5 Records, and the Trustees’ Minutes.